Now already 30+ years ago I experienced my first Virtual Reality (VR). The PC had now it’s powerful 32 bit processor, the Intel 80386. I can remember well a company located in Scheveningen (NL) with the only working VR setup for consumers. The price for this VR set was approx. 150.000 Dutch guilders (73.000 euro) during the late 80s and begin 90s. The screen quality was very basic. VR had it’s potential in the 90’s but the dream vanished quickly. No one was interested at that time. I spoke with friends a lot about why VR isn’t here yet, the graphical power of GPUs is now many times better than in those time. Gladly Palmer Luckey gave in 2012 VR a new life, and how! Since his kickstarter campaign reached 2.4 million dollar many jumped on the VR train. He had a vision and wanted to make VR popular and a success. He managed this in my opinion. I dare to claim that many with me relive the moment they had the Commodore 64 home computer. Many asked why and what you should do with a computer at home but in the mean time everyone has a computer and smartphone or tablet in use. I think VR will be no different. People were yelling how stupid chatting was and only for nerds. Nowadays everyone is using it. VR will not be a replacement of things but an addition. During the Google I/O 2014 developers meeting Google introduced the Google CardBoard. Google did motivate developers to make applications for VR in this way. I got myself also a cardboard using it on a Samsung Galaxy S5+ and I liked it right away. The possibilities were obvious. If you install the cardboard app you can start immediately with your new VR experience. YouTube also supports cardboard. 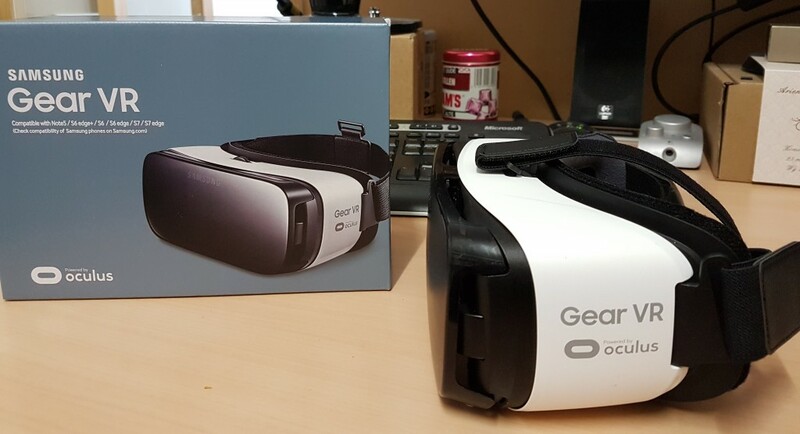 During my pre-order of the Samsung Galaxy S7 Edge I was given the opportunity to enlist for a free Samsung Gear VR. 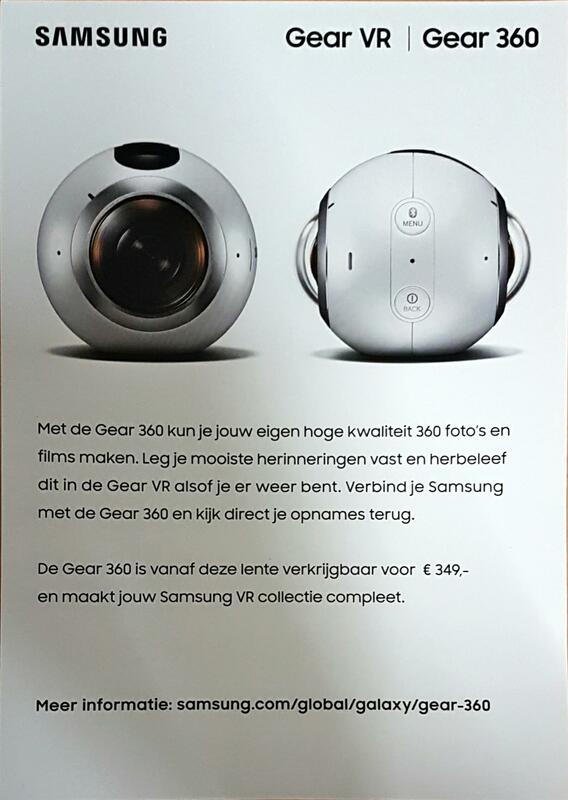 On the 8th of April 2016 Samsung started to ship the Gear VR in The Netherlands. I took the next day time to test and install my Samsung Gear VR. I wanted to take it the slow road instead of doing it fast. During unboxing I noticed a small but nice manual in Dutch. 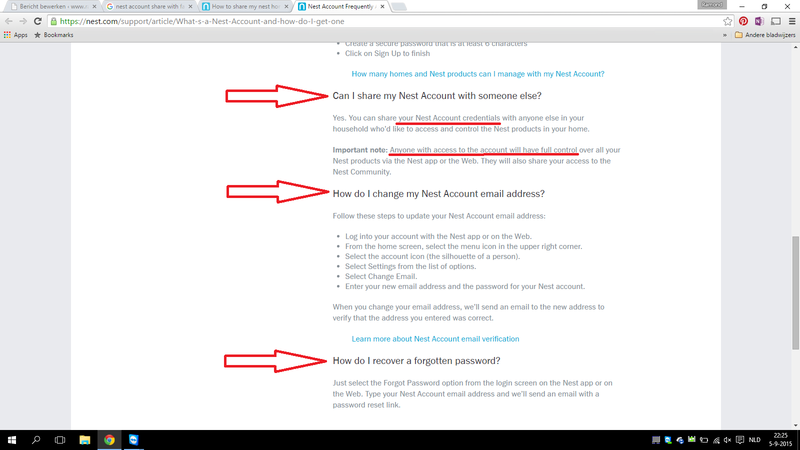 I decided (how it should be) to read the instructions properly and doing step by step. Happy I did. The only thing they didn’t describe in the instructions is to remove the plastic protection but the other steps were clearly written. When I placed my Samsung Galaxy S7 Edge in the Gear VR I got a notification to take the mobile out of the Gear and complete the installation. 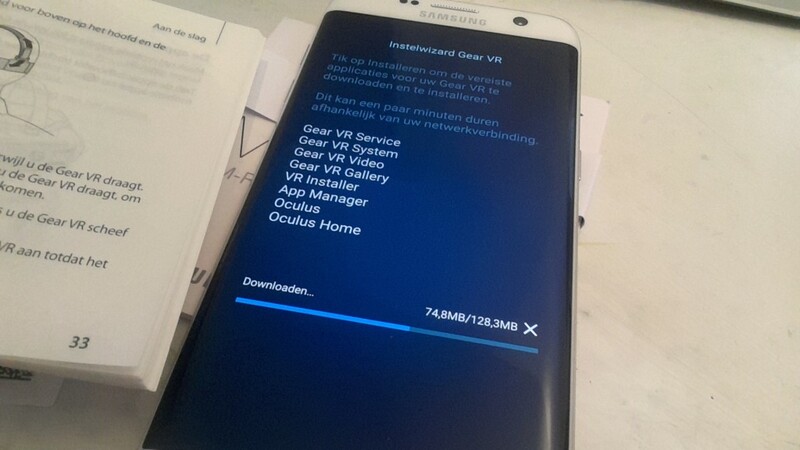 After the setup run I could place my smartphone again the in Gear VR. The VR party could start! When I placed the Gear VR on I felt immediately that everything was better made comparing to the cardboard application. It felt more VR. A short tutorial shows you the basic controls. I have to say, it felt good and natural. I believe this is because the cooperation of Samsung with Oculus. There were several moments that I a WOW. There are several 360 videos available to watch for free. I personally liked the on of National Geographic with a waterfall. Impressive. This was a surprise for me. A good surprise. They had two who really gave me the immersive feeling. It was a video of NBA and a soccer match (Manchester vs Barcelona). At both sport matches it’s like you actually are there! PERFECT! Don’t worry, no spoilers. I can and want only tell you it’s not scary. Enjoy the moment. Nice to watch for young and old. During my VR session I received a notification on my Gear 2 smartwatch and I was not able to view my watch at that moment ofcourse. The notification was shown on my Gear VR and not intrusive at all. Well made Samsung! It’s not all perfect. We have to remember these are basically first generation VR products for consumers. I have a Samsung Galaxy S7 Edge 32GB with an additional 128 GB SD. Unfortunately I was not able to move one additional or application to my SD card. 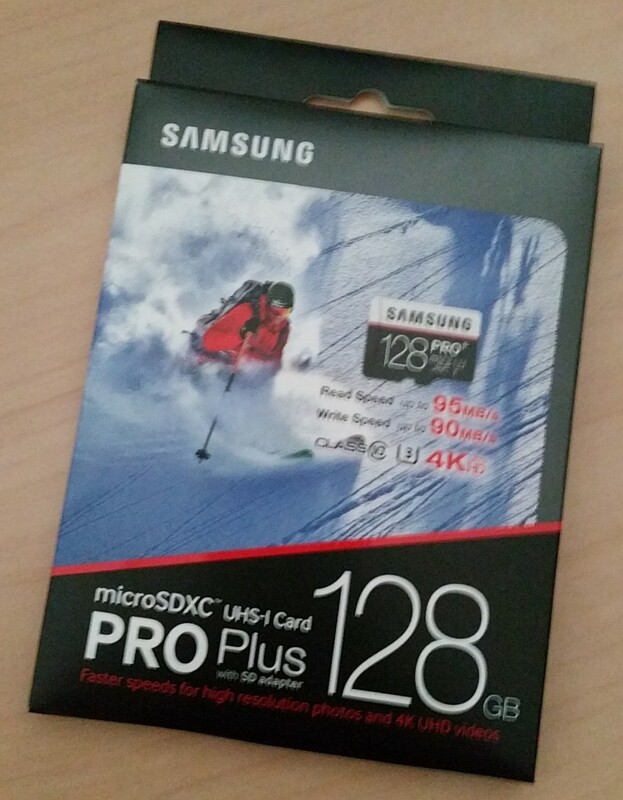 So I got soon a warning I had not enough space on my smartphone while I had 90 GB free on my Samsung microSDXC Pro Plus which according me should be fast enough to handle those files with a minimum read speed of 95 MB/s and 90 MB/s write speed. I experience one spontaneous reboot during normal usage. The screen went black and I saw suddenly appearing the white characters with Samsung Galaxy S7 Edge on my screen. Looked familiar to me, but not welcome on that moment. I was visiting my sister and showing her the Gear VR which didn’t work properly at first while it was running smooth at my place. Cause was found quickly as the WiFi connection was much slower than in my place (sound normal as I have a faster subscription and faster/more modern wifi accesspoints). 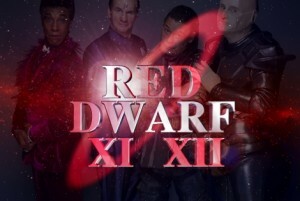 The disappointment was not less due to this. This particular video was not available for download and you had to stream it but that didn’t go well causing stuttering due to buffering. Experience gone. At the cardboard solution I was able to use other applications and using VR, for e.g. YouTube and others. In Oculus Home this is not possible. You have to start the application within Oculus home otherwise you are not able to use the Gear VR in VR mode. Happily I found soon that Samsung Internet application in Oculus Home was able to visit the YouTube site. None of the cardboard games work in Oculus Home because of the simple fact you are not able to see and select them. The future of VR will be dependent on it’s success. Samsung already announced that you can make your own 360 videos with the Gear 360 which will be available in The Netherlands for € 349,- around spring. I don’t think Oculus will rest. Oculus will motivate their partners to create content for Oculus home. I also preordered the Oculus Rift gepreordered and some will ask why. What is the difference between Google Cardboard, Samsung Gear VR and the Oculus Rift? 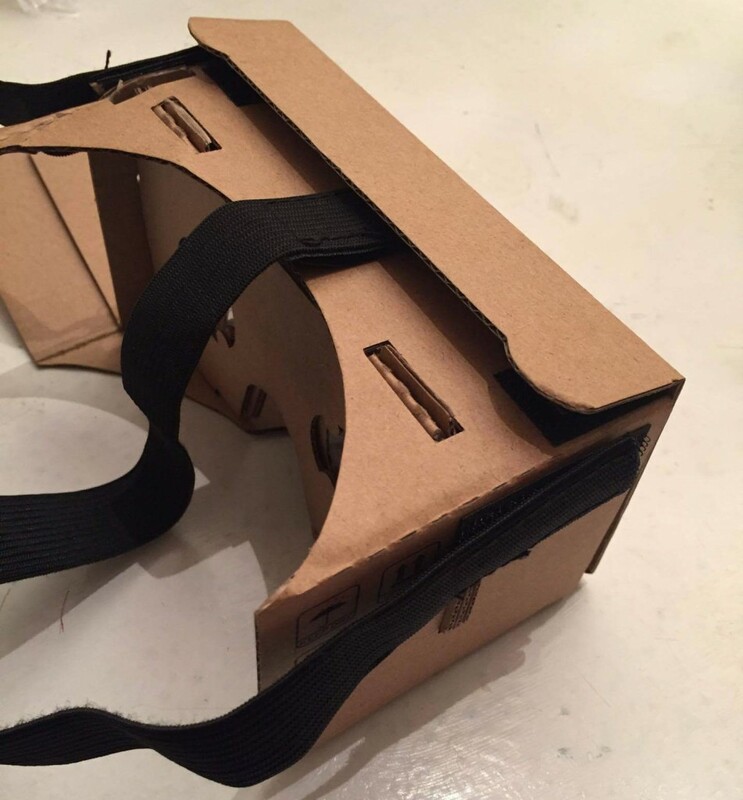 The Google Cardboard is a fun way to experience VR, with a low budget. 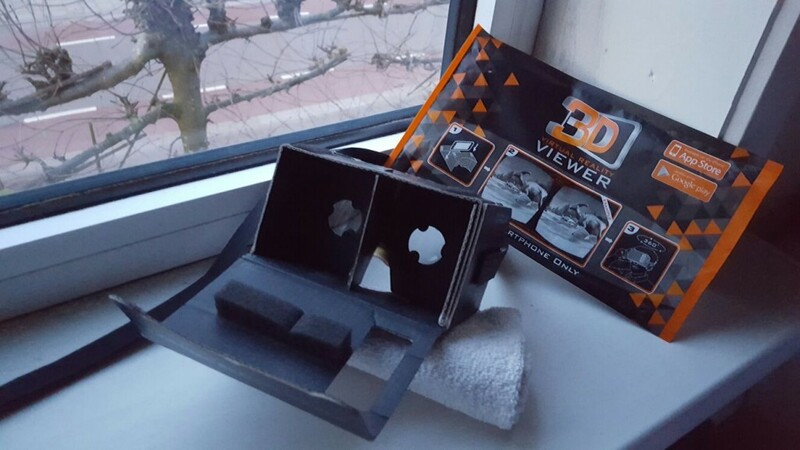 My cousin Gino bought a Google Cardboard alternative at the Action (NL) store for only € 2,50! Buying the Samsung Gear VR separately will cost you € 99,00. (The Samsung S6 (Edge), S7 (Edge) and Note 5 are supported). The difference include extra sensors and lenses of a better quality. The material is not cardboard but plastic on the Gear VR. It wears more comfortable and is user-friendlier to use. The control and experience are better implemented. The Oculus Rift will be the best in this row for VR experience. The price is not for everyone and you will need to have a powerful PC. You are able with the Rift to use certain games and applications in VR. This is the dream of every computer nerd 🙂 Applications are almost unlimited. The Oculus Rift didn’t arrive yet but I will review it when I can.